The Community Policing Forum has broadcast the following information. Taxis are registered to operate on specific routes and the route numbers should be displayed on a blue-on-white sticker on front/rear of the vehicle. They may not deviate from the authorized route and the routes in Tokai are only on Tokai Road – definitely not on any roads off Tokai Road into the side roads, not even by doing quick U-turns or reversing in. 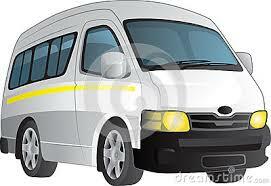 Any taxi operating off Tokai Road is therefore breaking the rules/law. The time, location, registration number and any other noteworthy points should be emailed to cpf@kingsley.co.za and the info will be forwarded to the relevant authorities, including SAPS. Whilst there is nothing that can be done immediately, the violations are accumulated by Provincial authorities and the misdemeanors are, we understand, taken into account when the taxi license comes up for renewal.